There are plenty of reasons you should chose Archivist nline as your School Management Software. Just read out the article below. Why Should You Choose Archivist Online? So, why should you choose Archivist for your school management needs you ask? The answer to this question is clear; we offer an easy to use, affordable and complete web based school management solution that will meet all of your needs and more. Our compact web based school management solution is a multi-purpose suite of tools that you can use to increase the productivity of your educational institution. We have designed Archivist to be a state of the art web based program that gives schools and colleges the software they need to ensure that all of the vital information on each and every student is able to be easily accessed when needed. Archivist Online is a seamless software solution that is designed to be user friendly and offers a simple easy to use interface that even a novice can navigate through with ease. Our award winning software has a variety of rich features that are designed to streamline the day to day operations and provide you with the valuable insight you need to effectively manage your educational institution thanks to the valuable insight that you will gain by choosing Archivist Online as your school management software solution. 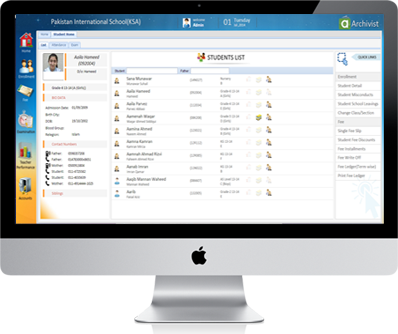 Our school management software system was carefully designed with you in mind and provides an array of software solutions that have been carefully designed to meet the needs of all types of schools and best yet there is no messy installation to deal with. Because Archivist Online is a cloud based software program there is no need for a server, technical maintenance staff or any additional hardware to purchase. As long as you have basic computer knowledge, you will be able to navigate through the user friendly interface of Archivist Online. We developed Archivist together with domain experts and premium educational institutions to ensure that our web based software features everything you need to manage your educational institution with the help of the automated back office operations which have been carefully selected to ensure that you are able to focus on what is important; enriching the lives of your students while Archivist does the dirty work for you behind the scenes. Archivist was designed to be easy to use by anyone. You do not have to have any IT experience to take advantage of all of the great things that this web based school management system has to offer; in fact anyone that has basic knowledge of computers can easily operate Archivist with ease. The simplistic design, quick links and built in tabs make it easily accessible by all. Archivist is unlike most school management systems because there is nothing to install because all of the applications are cloud based. So, you can enjoy all of the powerful school management software that you need to streamline operations at your educational institution without the need for heavy computer equipment such as servers or even having to wait for it to install. No technical experience or fancy equipment is needed to take advantage of the powerful education management software tools offered by Archivist Online. When you sign up for an account with Archivist you will be able to set up an administrator on the account. 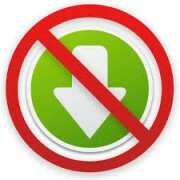 Only this person will be able to authorize new users or deactivate users. This helps to ensure that nobody else is able to get into the system but you. Also, the passwords are encrypted as well which ensures that nobody is going to be able to decrypt them and access your schools sensitive records and information. Archivist is based online so you don’t have to have your own servers; in fact, because Archivist is already hosted by the best servers in the world you can count on stable and reliable use time after time. Archivist is supported by Google Servers which ensures that you are always provided with a stable, reliable product when you choose Archivist as your choice for school management software for your educational institution. We understand that not all schools have the same needs or systems and therefore we offer you the option to customize your Archivist experience in the way that best suit your needs. Choose the software programs that you need that work best for the unique needs and location of your school or college. Archivist is designed to offer a flexible customizable online school management software program that will adapt to suit the unique needs of each educational institution we serve. Archivist is a complete suite of software that is designed to provide you with all of the software that you will need for your school or college. Each of our software products possesses a broad spectrum framework. Archivist Online offers a full spectrum of packages to choose from with prices so low you won’t believe it. We offer packages that suit the needs of schools of all sizes both big and small. If you want more information on the packages we offer or need help choosing the package that best suits the needs of your school feel free to contact us today; we would love to hear from you. If you want to utilize the services of Archivist at more than one campus we would be glad to help you choose the right requirements for each campus. Then, we can combine all of your campuses so that they interlink making them simple to manage. If you want school management software that will simplify the processes of your educational institutes so that are easy to manage then Archivist is the perfect choice to help you streamline operations and reduce the workload of administrative tasks.